One of the positive things I’ve discovered about getting older is that I’m much comfier in my own skin. Among the things I have realised are that it’s fine to be a home loving introvert with anti social tendencies and preferring the colder months to summer is not a crime against humanity, the weather or anything else. And I have discovered that out there in internetland, there are a whole lot of other people like me! 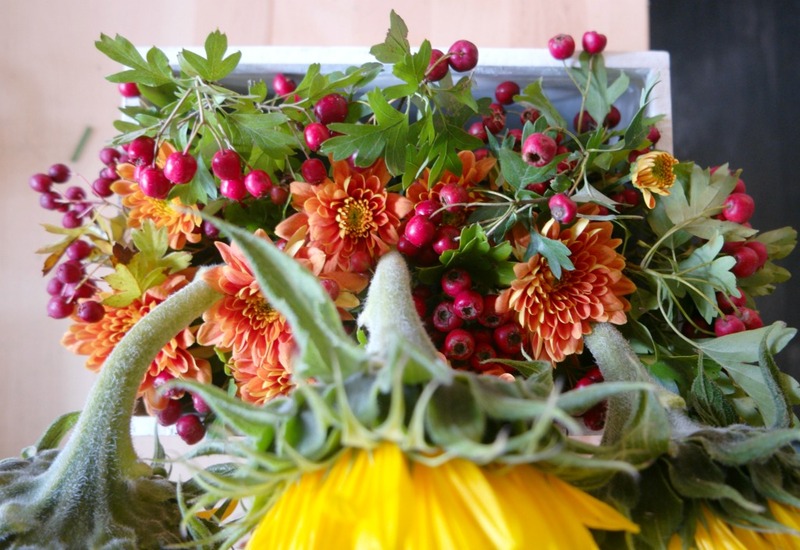 So for all you autumn loving, introvert homebodies, here is a diy flower arrangement for you! It’s very easy. If you’ve not tried anything like this before, don’t be put off! My tips are: odd numbers are best, keep it simple and fill up the gaps with greenery or small stuff, but don’t overdo it. 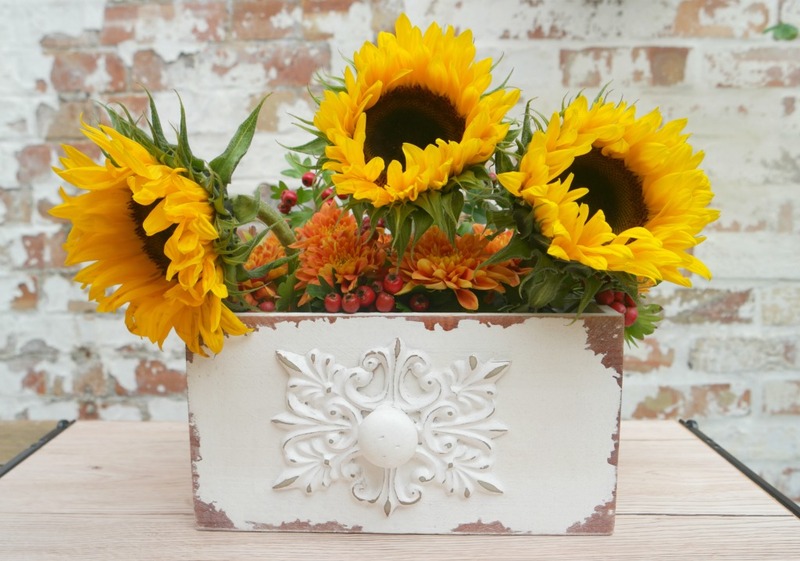 Oasis flower foam, something to put the arrangement in (I was sent these drawers by Oasis Home and Hobby along with the flower foam), 3 sunflowers, 9 orange chrysanthemums, greenery with berries. 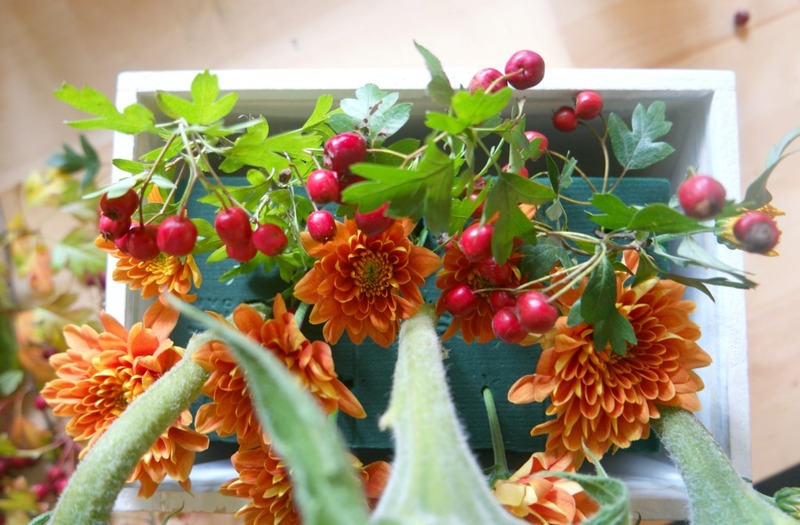 I bought the sunflowers and the chrysanthemums from the supermarket and for the greenery with the berries, I raided the hedgerows for hawthorn, which grows in abundance round here. Cut the oasis block down to size and pop it in the sink to soak. It’s ready when it sinks. This won’t take very long providing it’s a fairly small piece and not a whole block! Mine was ready within about half an hour. 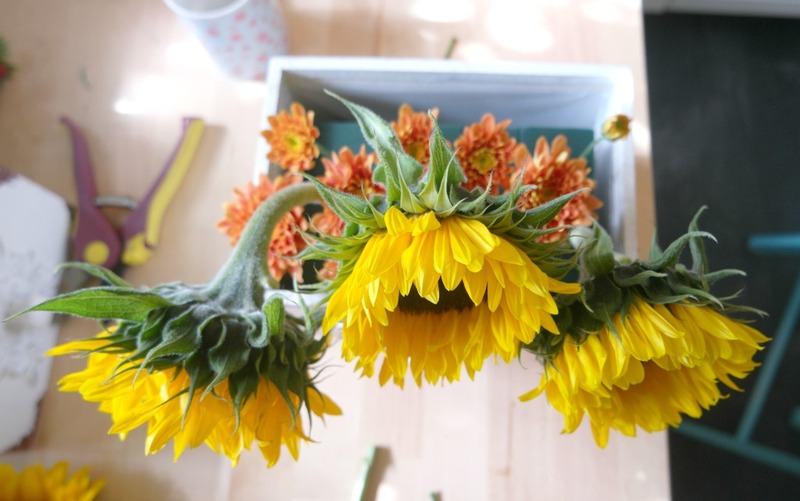 Cut the stems of the flowers. 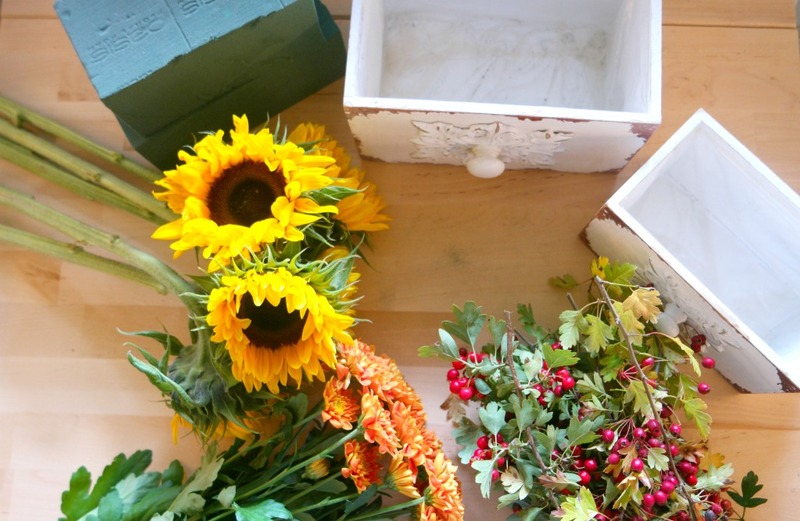 If you’re using the same drawer thing for your arrangement as I did, the sunflowers need to be about 20 cm high, the chrysanthemums about 12 -15 cm and the greenery/ berries about 10 cm. 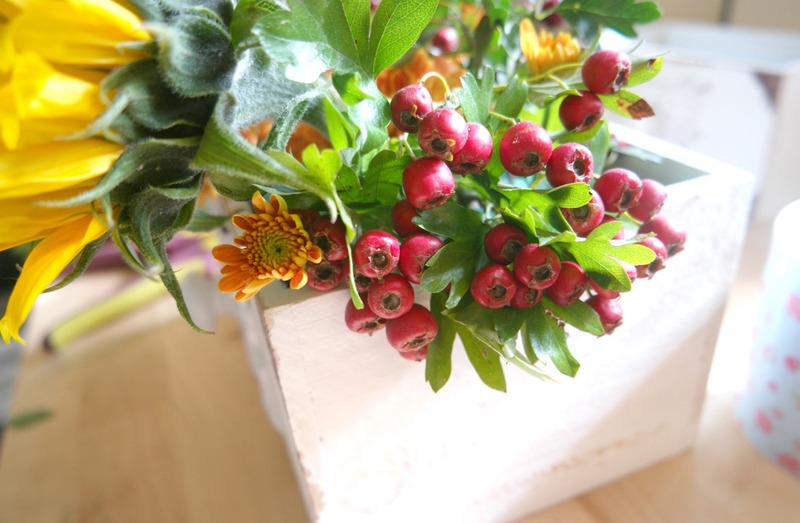 If you’re using something different for your autumn flower arrangement, you’ll need to check against your container. 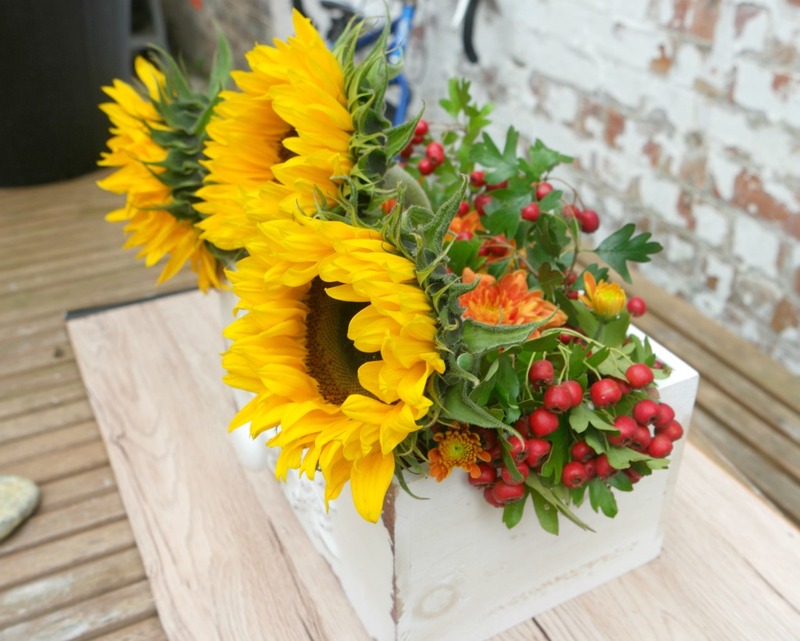 Generally, the stems of the main flowers need to 1 1/2 times the height of the vase or container. 1. Pop the oasis block into the container, then push one of the sunflowers into the oasis, in the centre but nearer to the front than the back. 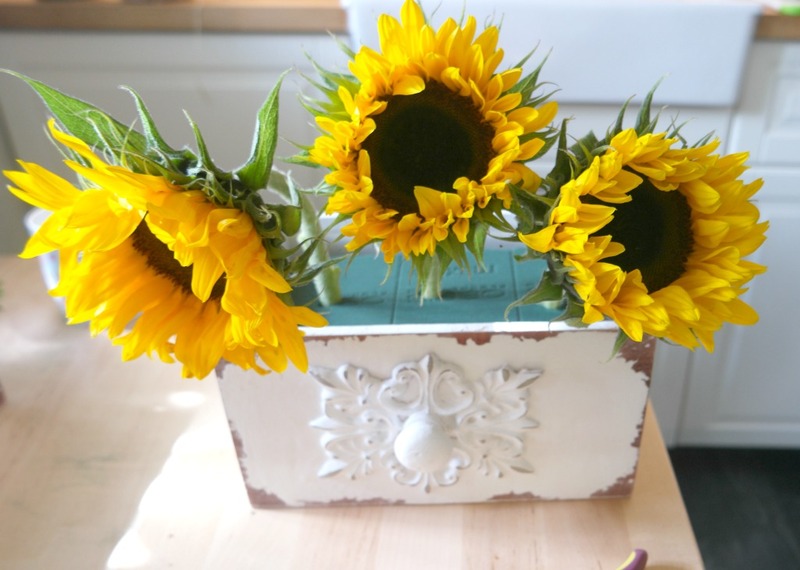 Push the other 2 sunflowers in on either side, closer to the sides and front of the arrangement. 2. Now add the chrysanthemums. 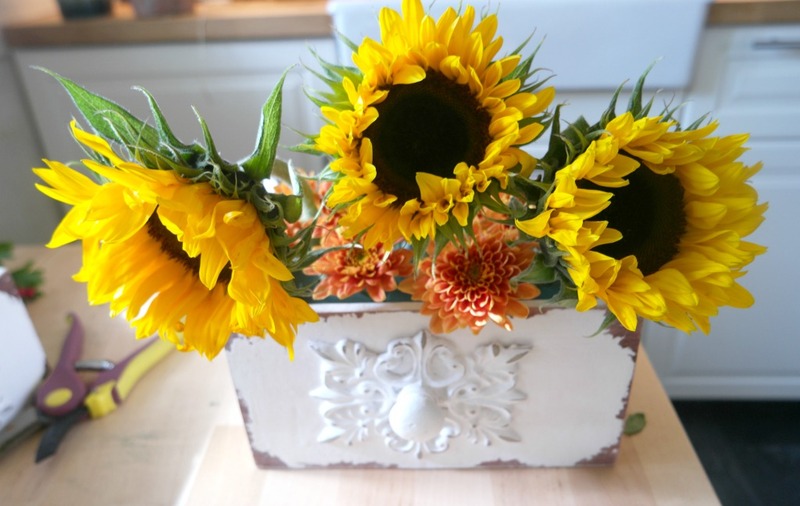 Arrange them around the sunflowers so that they are evenly spaced. 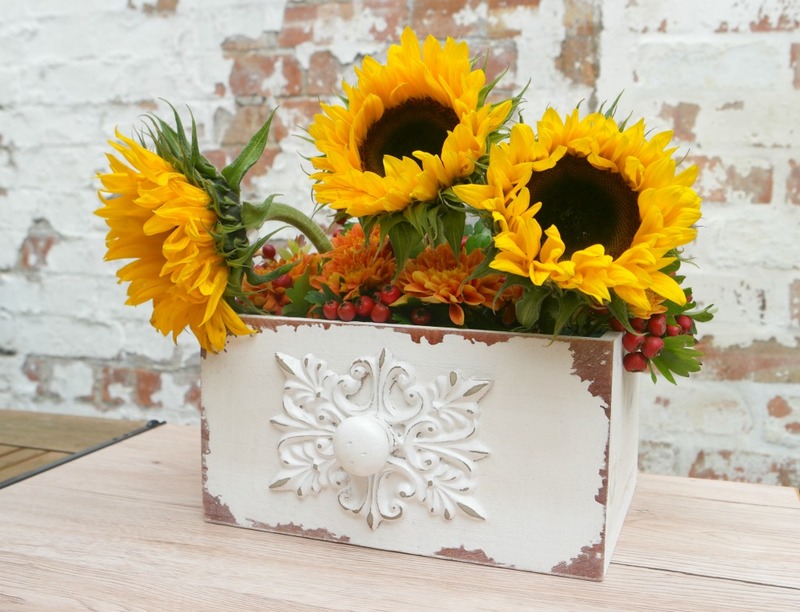 Put one each in the front corners, between the sunflowers and the rest around the back. 3. 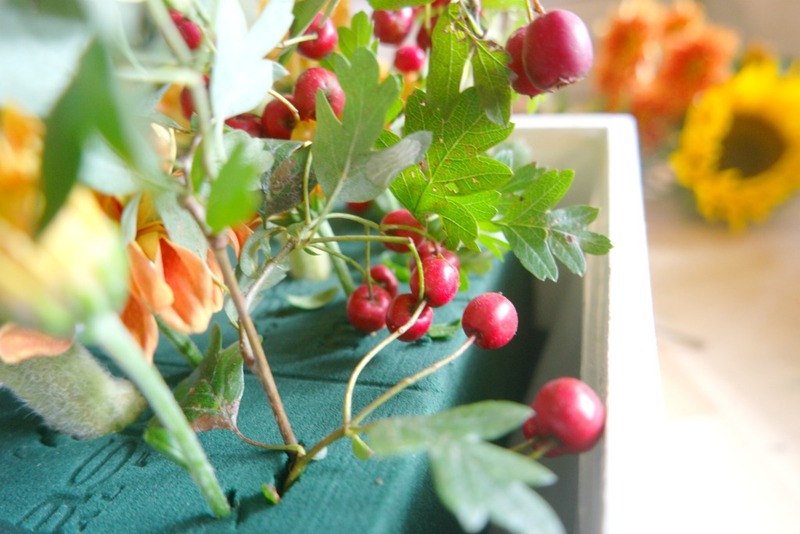 Fill in the spaces with the greenery and berries. Of course it won’t be absolutely symmetrical and that’s part of the charm! But aim for a balance by using pieces of a similar size. 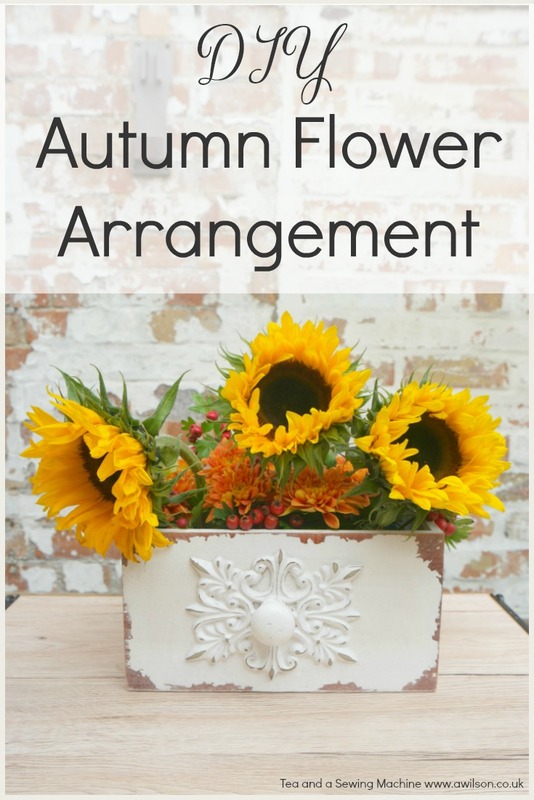 Now all you need to do is decide where to put your autumn flower arrangement! Very pretty, pinned to my Flower bouquets board :). Gorgeous. I tend to be a ‘just bung them in a vase’ kind of girl but I love to learn new techniques, I even have a pinterest board just dedicated to flower arranging advise so this is going straight on there. Thanks.